Aghyaran is a parish of the Catholic Diocese of Derry located in the west of County Tyrone. Although it is part of Northern Ireland, it sticks like a thumb into the eastern part of County Donegal of the Irish Republic. It is bordered on the north, west, and south by County Donegal and on the east by three parishes of County Tyrone. 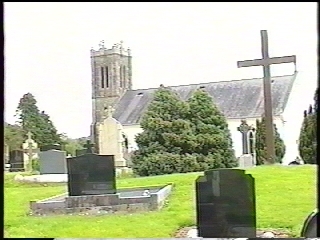 The proper name for the parish is Termonamongan, but most refer to it as Aghyaran because that is the townland where the parish church is located. Aghyaran is used as a setting for several scenes in my novel, “Donegal Generations.” Aghyaran is just over the hill from the homes of my three main characters. 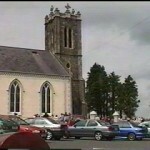 They occasionally visit the parish church, and fairs in the Aghyaran village of Killeter. Tradition tells us that St. Patrick passed through the area now known as Termonamongan on his way from Tirhugh to Magh Ith to establish a church in Donaghmore. 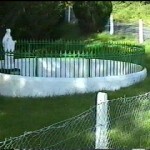 On the way, he stopped at a well in Magherakeel where he quenched his thirst. He blessed the well before he left. 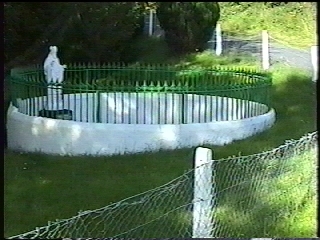 It is now known as St. Patrick’s Well, a station on the pilgrimage to the stations at St. Patrick’s Purgatory on an island in Lough Derg. 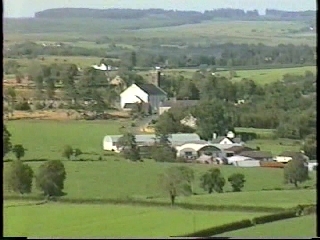 In the 11th century, the parish was part of Termon Davog, a pocket of church land located between the kingdoms of the O’Donnells, the O’Neills, and Maguires of Tyrconnell, Tyrone, and Fermanagh. The termon belonged to the monastery on Saint’s Island in Lough Derg. When the Synod of Rath Breasail solidified diocese boundaries in 1111 AD, Termon Davog was split into two with the parish in Clogher Diocese served from the monastery in Lough Derg, and the parish in Derry Diocese served by the church of Cill Cairill in County Tyrone. These two parishes later became known as Termonmagrath (now Pettigo Parish) and Termonamongan, named for their herenagh families (McGrath and O’Mongan). Herenaghs administered the termons (diocese land) and provided clergy to their parishes. Ballymongan and Trienamongan Townlands were granted to the herenaghs of Termanamongan for their own use. In 1411, Patrick O’Mongan was herenagh of the parish. 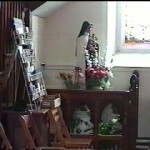 The church for parishioners of Termonamongan was St. Cairill. 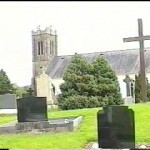 It was located in Magherakeel Townland at the graveyard that is there today. Magherakeel (Machaire Cille) means “plain of the church.” The church was named for St. Cairill. There are two saints with the name Cairill. It is believed that the church in Magherakeel was named for the St. Cairill of circa 750 AD who was the bishop of Tir Ross (now Rossory) near Enniskillen. St. Cairill Church was destroyed in the early 17th century by the English during a period of violence between the native Irish and their new English overlords. 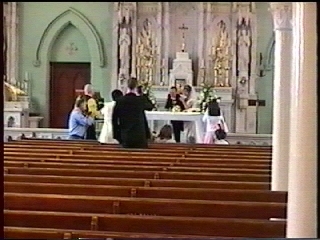 Without a church, the Catholics of the parish had no place to worship except at various open air locations. Mass rocks were established in the townlands of Ballymena (Carrickanalter), Mullinabreen (the Cashel), Crighdenis (at St. Davogs’ well), Carnoughter (at the stone circle), and Aghalougher (Mellon’s Glen). Then came the Catholic Penal Laws of 1697 that aimed to stamp out the Catholic faith. At first, a single priest was permitted to administer to the Catholics of each parish. 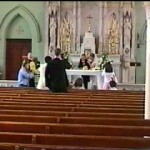 After most priests refused to take the Oath of Abjuration in 1708, Catholic priests became outlaws in Ireland, stalked by redcoats and mercenary “priest hunters.” At that time, attending Mass became impossible unless renegade priests secretly snuck into the parish to celebrate Mass at hidden locations. One such priest was Father Cornelius O’Mongan, who was almost captured by British soldiers after saying Mass at Mellon’s Glen, but he managed to slip away to safety across the Mourne Beg river. 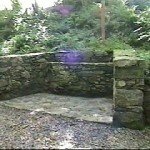 Father O’Mongan’s tomb is located in the old graveyard at Magherakeel. Enforcement of the penal laws became less severe in the late 1700s. 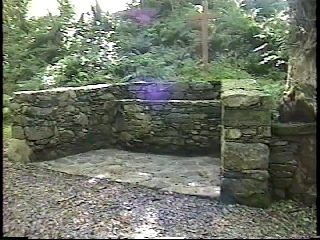 Small chapels were built then for Catholic worship. 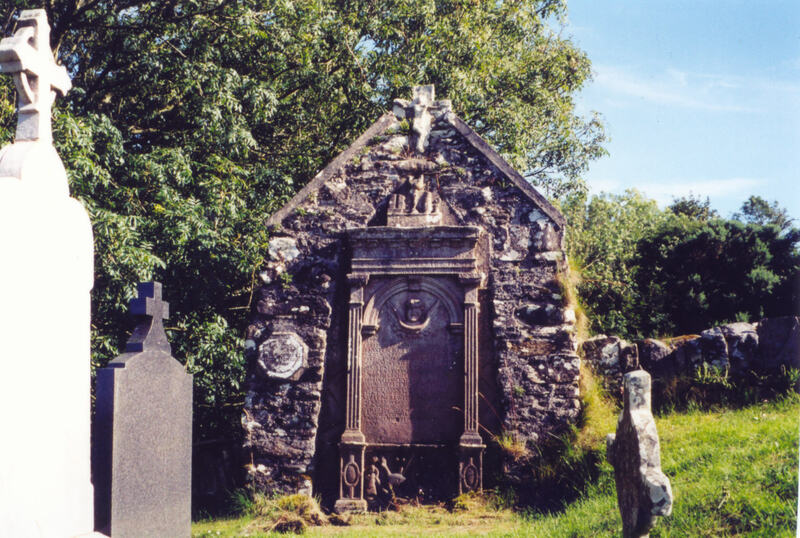 A chapel used by parishioners of Urney was built in Castlesessiagh Townland in 1759, and it is believed that a similar chapel was built in Aghyaran Townland for Termonamongan Parish around the same year. The builder of these chapels in Ulster is believed to be Anthony O’Flagherty, a brother of two Parish Priests who served in Donaghmore and Aghyaran parishes. 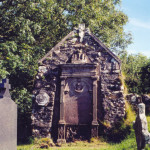 During the 1790s, Catholic burials began in the present Aghyaran graveyard. In 1799, Father James Mongan arranged to have a thatched roofed chapel built on the property of Lord Caledon in Aghyaran that could accommodate 900 (standing) worshipers. Mass continued to be celebrated at the parish Mass rocks for the convenience of worshipers even after the chapel at Aghyaran was built. 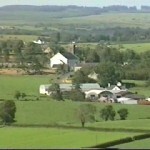 Mass was held at Mellon’s Glen as late as 1830. The current chapel at Aghyaran was built in 1840. Either Father John Higgans or Father Neal O’Flagherty initiated its building. 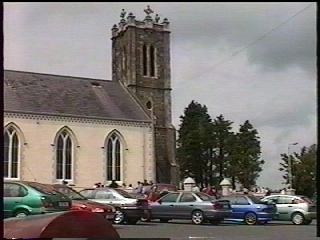 The church was dedicated to St. Patrick in 1844. A bell tower was added in 1856. 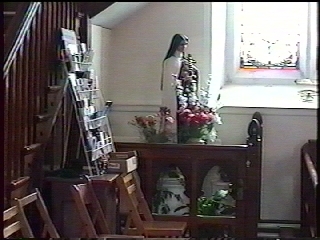 It took until the 1890s under Father James O’Kane for some seats to be installed in the church. Under Father McConelogue in the early 1900s, the remainder of the seats were installed. St. Patrick’s Church had major renovations in later years and was rededicated in 1928. It is my understanding that more recent renovations were completed last year. Practically all of my information about Aghyaran Parish is from articles written by Father Brendan McGinn in the annual parish magazine “Aghyaran” he initiated in 1986. The magazine has published many interesting articles about the history and folklore of the area. Father McGinn was parish priest of St. Patrick’s from 1983 to 2005. He retired for health reasons in 2005 and died in 2006. It was my privilege to have met him on my visits to County Tyrone in 2001 and 2005.